I’ve been to three Partners conferences in varying forms: Pittsburgh was just the SMA portion because I had hosted an SMA intern; Charlotte was just Partners because I got a scholarship from the Council; and Irvine was SMA and Partners because I got a scholarship from the Council for Partners and attending SMA was important to me so I tacked that on to my trip. I have had different reasons and intentions for going each time, affecting which presentations I go to and what I got out of the conference. Regardless of reason or intention, every time I come back from these conferences, I have a renewed sense of purpose and belonging in the industry, and Partners (including SMA) is always so, so special! I like to think that ISA feeds my brain and Partners feeds my heart and soul. 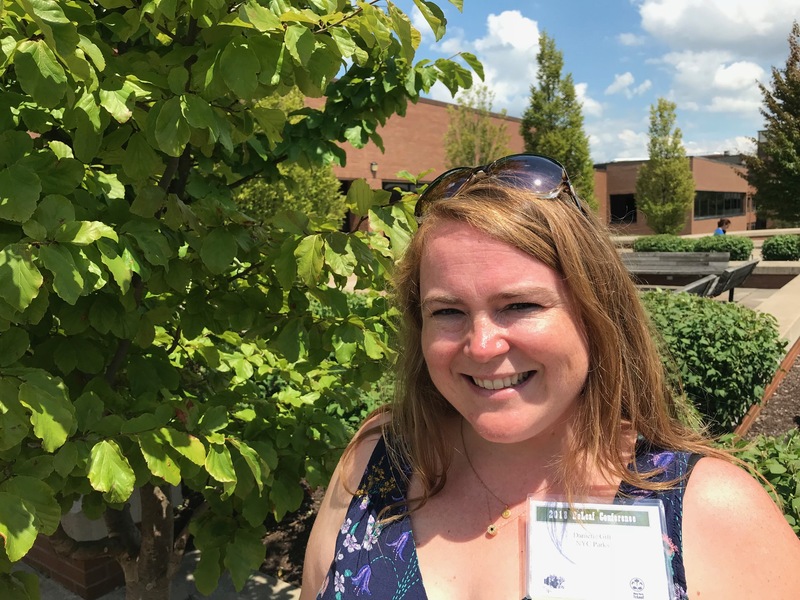 The first time I attended Partners was in 2013; I was going to the SMA conference in Pittsburgh because I had mentored a summer intern through SMA’s wonderful intern program. I was invited to see my intern’s presentation on his project and then received a nice appreciation plaque (which is still featured prominently on my desk). 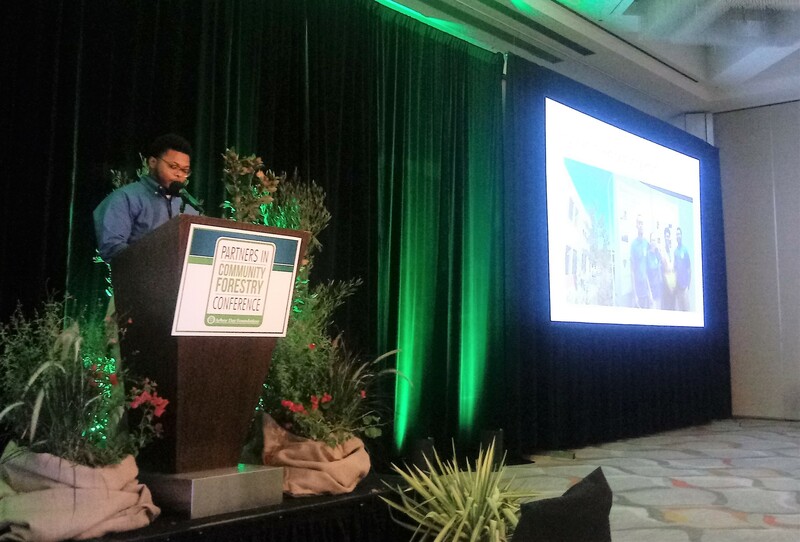 At that SMA Conference, I just remember a feeling of wonder that there were so many other professionals out there all trying to do the same thing—do the best they could to manage the forest they had. I specifically remember a talk about people’s health in areas especially hard hit by Emerald Ash Borer (EAB). This was also when I was introduced to the Municipal Forestry Institute (MFI). My boss at the time, Jeremy Barrick, snuck me into the MFI Reunion (shh, don’t tell) and there I met SMA Director Jerri LaHaie and some of the other MFI Teaching Cadre. The following year, I was lucky enough to receive a scholarship from our Council to attend the Partners side of the conference in Charlotte, North Carolina. This was a lot of fun because I had just gone through MFI that spring and there were so many people there from my class. I also got to meet up with members of the Urban Ecology Collaborative, a group I normally only get to be with over the phone since we span several cities. 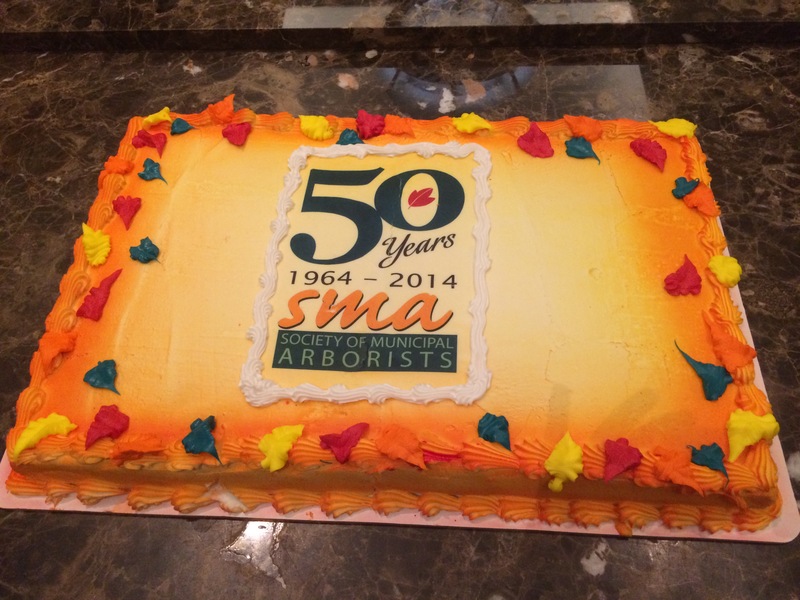 It was also a special conference because it was SMA’s 50th anniversary and I was involved in some of the planning for the celebration. A highlight for me at that conference was visiting the nursery Charlotte uses to source their street trees; I love tree nurseries! I also distinctly remember learning about Denver’s EAB infestation, and I’m pretty sure this was the first time I met Arbor Day Foundation Director Dan Lambe! My most recent visit to Partners was this past year (2018; Irvine, CA), and I got to do it all. 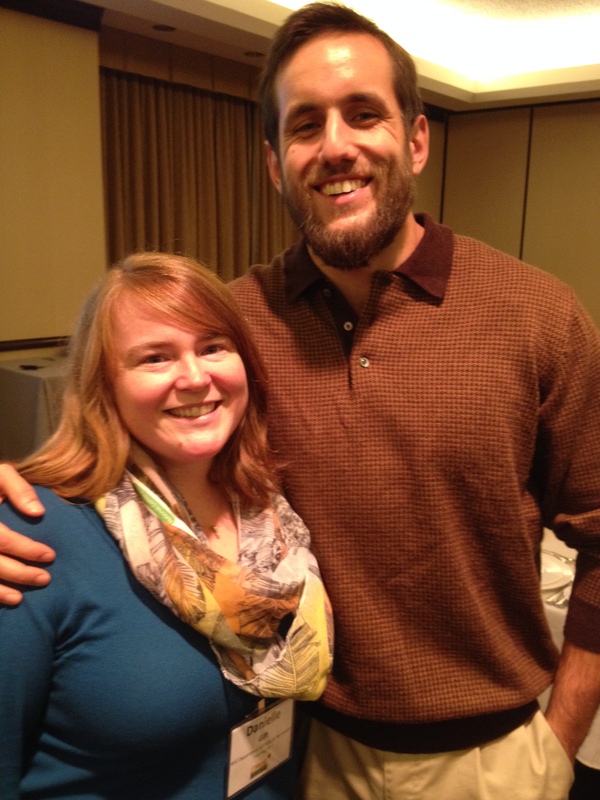 I was involved in the SMA Membership Committee, so it was really important to me to attend the SMA conference. Again, I was able to attend the Partners side because of the generosity of our Council. 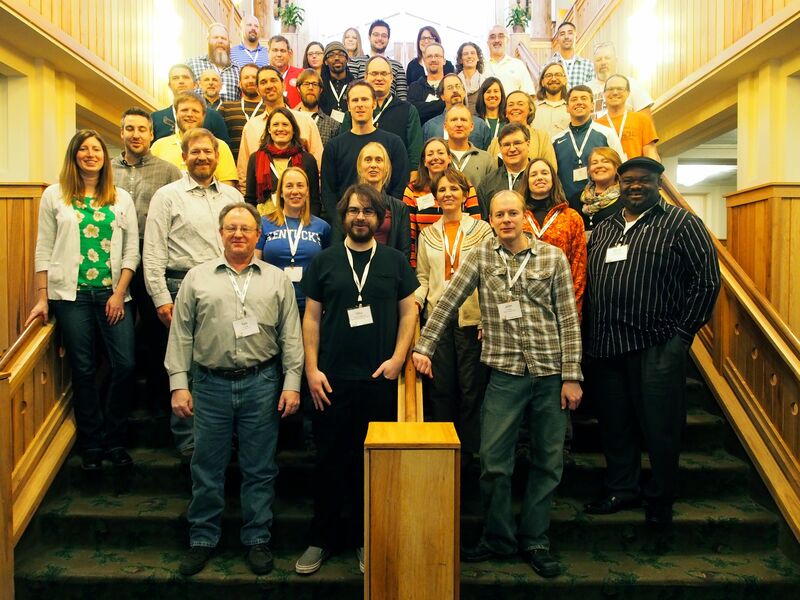 This conference was like a family reunion … only nerdier! It had been four years since my last conference and I had met and geeked out with so many people in those years—and they were all in Irvine. The Irvine set of conferences (SMA + Partners) was also different for me because I had a focus for attending beyond representing the Council. In the years since Charlotte, my role at NYC Parks has evolved, and I now work within the Tree Preservation unit, so I was bringing that lens. Also, I brought the pained awareness that EAB had landed in NYC! Overall, I have been incredibly fortunate to attend the Partners conference in many ways, shapes, and forms. Every time I go back, I feel like I’m giving more energy to my flywheel and adding more to my urban forestry arsenal. It has been a pleasure to represent NYC Parks, SMA, the NYSUFC, and New York State as a whole. I am always so proud of what we are able to accomplish in New York and so impressed with what other municipalities and states can do. What an amazing way to meet a whole bunch of people with the same goals and learn a whole bunch from them in the process.